An organic dark chocolate bar with crunchy caramel pieces and mouth watering salt crystals which work together to bring out the complex flavours of the smooth and fruity chocolate. 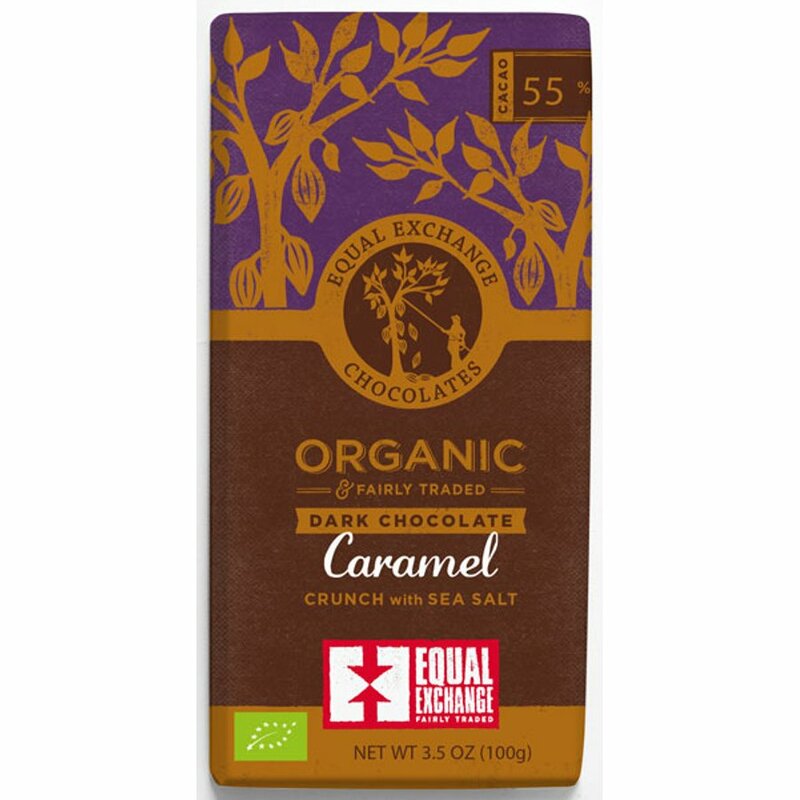 The unique Fair Trade bar is certified organic suitable for vegetarians and gluten free serving as an exquisite treat for everyone! Organic Chocolate Liquor, Organic Raw Cane Sugar, Organic Cocoa Butter, Organic Caramel (Organic Cane Sugar, Organic Whole Milk Powder), Organic Butter (Milk), Organic Glucose Syrup, Organic Unrefined Whole Cane Sugar, Sea Salt, Organic Ground Vanilla Beans. 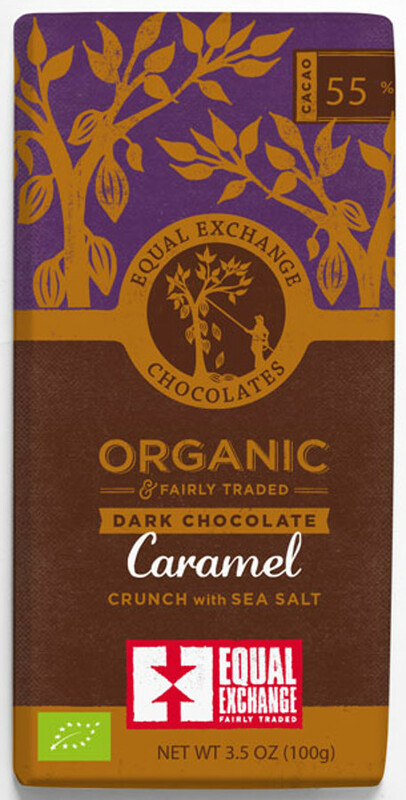 There are currently no questions to display about Equal Exchange Organic Caramel Crunch With Sea Salt Dark Chocolate - 100g.